Legends of the North: "When the yolk is large, the year shall be well". What came first, Easter or the Egg? "When the yolk is large, the year shall be well". What came first, Easter or the Egg? When Christianity reached the Norwegian shores during the 9th- and 10th century, the Easter celebration in most of Europe had become an organized and regulated festive part of the liturgical year, a custom which people for the most part had come to comply with and respect. 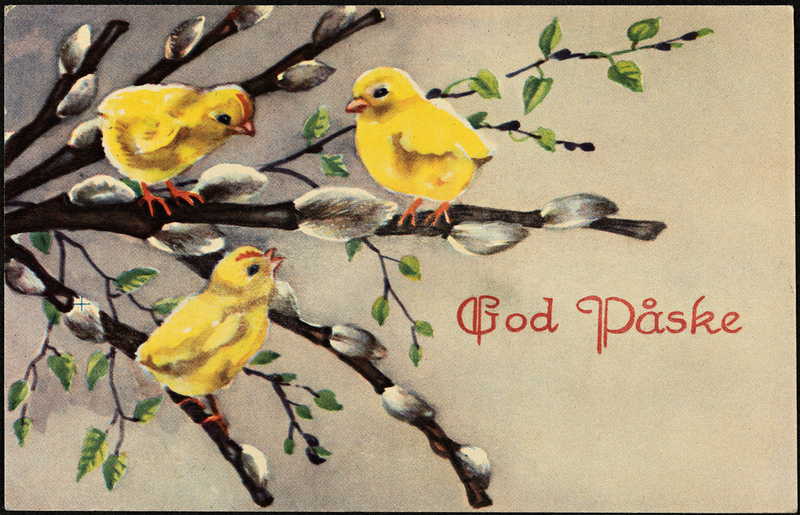 The first sign of a Norwegian Easter celebration is found in the sagas about the oldest kings of Christianization: Haakon the Good, Olaf Tryggvason and Olaf II (Saint Olaf), who were all baptized abroad. In the acknowledgements of their rule, references connected to Easter, Easter Saturday, Palm Sunday, and fasting are sporadically mentioned. Simultaneously, holiday regulations soon became a part of regional legislation, as well as being introduced as a festive holiday feast in order to replace the pagan sacrifice and blót. 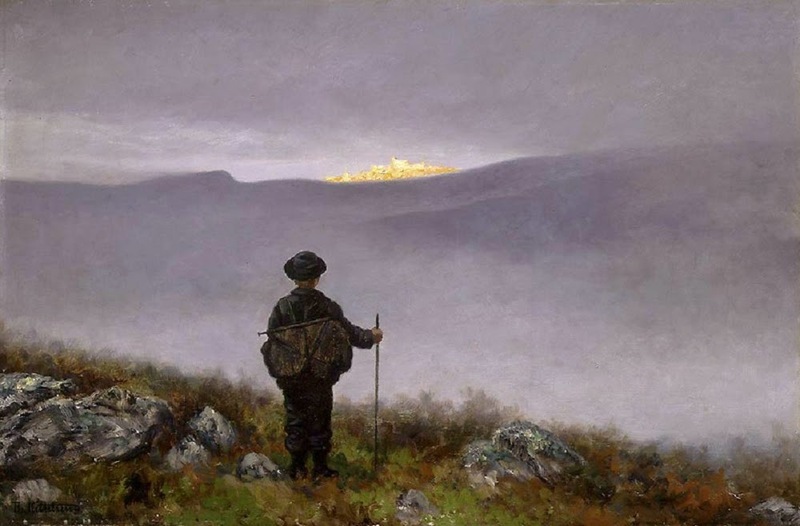 However, either on the continent or in Norway could the Church entirely prevent that the new festival assimilated and continued elements from the ancient nature religions. 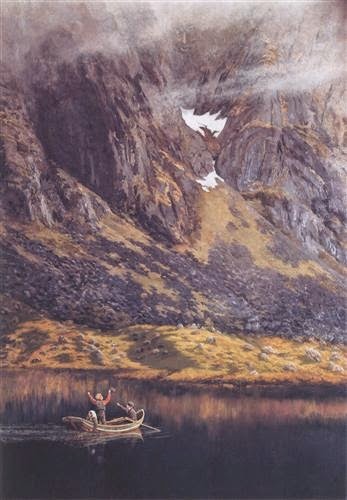 In the North, the Easter festival coincided with the old Norse summer blót, held at summer day in mid-April to ensure that the gods would contribute to victory, peace and a fruitful year. The pre-Christian concept of fertility proved to have an evident ability to nurture old customs and blend in with the new, so these often got an ambiguous content which gave room for both a Christian and natural mythical interpretation. Perhaps the prime example of this phenomenon is the Easter egg, which to this day remains as a required element on the Norwegian breakfast tables on Easter Sunday. The egg is so strongly associated with Easter, that Norwegians in fact double the consumption of eggs in the course of the Easter holiday. 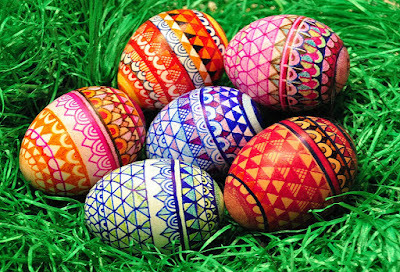 During the five days of Easter, Norwegians eat about 21 million eggs! It is uncertain when this custom first made its appearance; in the countryside, it is not likely to date back more than a century, in larger towns probably longer. However, the idea to consider the egg as a symbol of vitality and fertility is considerably older. The Roman saying, Omne vivum ex ove, states that all living things come from the egg. The early church met these notions with a Christian reinterpretation, and in the early Middle Ages, the egg was approved as a symbol of resurrection, and subsequently put into good use in the Easter proclamation. There are even pictures showing Christ rising up of a broken egg. In folklore however, the egg retained its magical feature as a life-giving force of nature. "When the yolk of the egg is very large, the year shall be well," it was said in the county of Hedmark, in southeastern Norway. The first time during spring when milking the cows outside, the dairymaid made sure to milk the first drops into an eggshell for good fortune. The reformists fought to detach the egg from all forms of mythologizing, and purely make it a common dish. Yet it is in the combination of ecclesiastical and popular symbolism that we must find the explanation for the current use of Easter eggs and other related Easter traditions; yellow chicks, Easter bunnies, yellow candles, daffodils, and green leaves. The beauty of these symbols is that they not only represent the Easter season, yet also reflect new creation and new life – in nature, as well as the human mind.